Circumnavigate the tallest peak in central Europe, Mont Blanc. See lovely views of the snowcapped Alps from Lac Blanc. Stay in Alpine chalets as you hike through Switzerland, Italy and France. 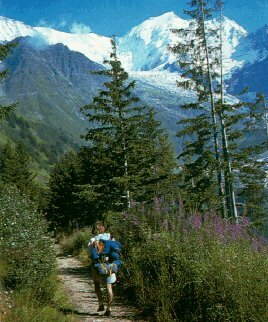 Travel picture of Hiking toward Mont Blanc.